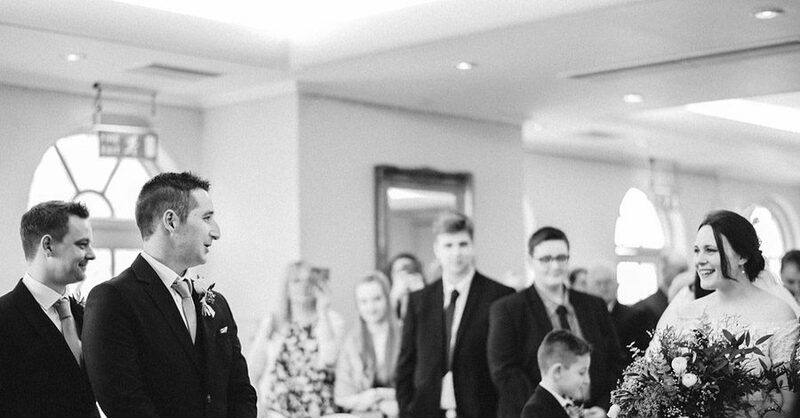 More than a few times as I flicked through the images for today’s real wedding blog feature I gasped, chuckled or did my best little attempt at a blogger squeal – because it’s just so fantastic! There’s everything: gorgeous couple, beautiful dress, large orange octopus… Oh and there are bubbles, vintage maps, a button bouquet with a librarian badge… too much to mention before I show you the fabulous images! Emma and Richard are simply brilliant. 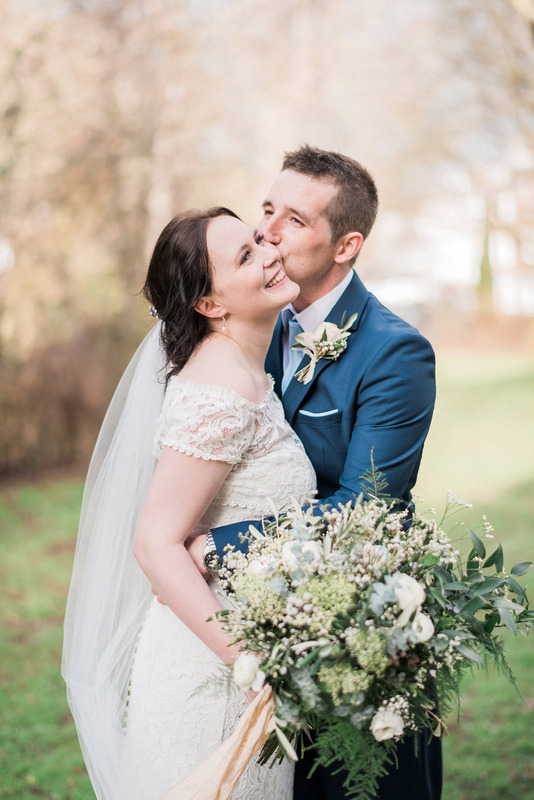 Emma’s smile never fades – she’s such a beautiful bride and wears “the first and only dress I tried on”. I love her style and everything about her. With wonderful little details – invitations styled on a vintage Bird’s Custard advert and place cards made from library tickets, anyone?! – and big, impactful images this is a wedding not to miss. Huge thanks to wonderful West Midlands wedding photographers Rob & Sarah Gillespie for sharing their images with us today.